Registration now open for #2019ACEN! The full program for the 2019 ACEN Annual Conference has been released! The agenda features 53 concurrent sessions, a 4-hour pre-session with the ACEN Directors and Dr. Phillip Dickison, Chief Officer of Operations and Examinations at the National Council of State Boards of Nursing (NCSBN), Peer Group Forums, 17 poster presentations, a keynote address by Dr. Rose Rivers from Restoring Joy to Leadership highlighting tips to incorporate joy into innovative leadership, and SO MUCH MORE! Don’t wait, register today! Price of registration increases to $799/person on June 1, 2019. Have a site visit coming up? 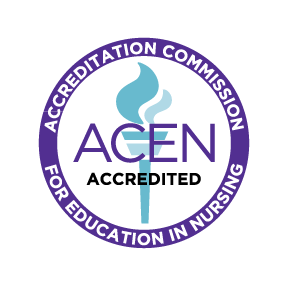 Are you new to accreditation? Does your faculty need a refresher on the current standards? Don’t miss your ACEN-hosted Self-Study Forum this fall! An excellent opportunity to delve deeper into the ACEN 2017 Standards and Criteria, a Self-Study Forum helps you gain a better understanding of the Self-Study Report expectations and get ready for Peer Review, while also earning continuing education credit. The 2019 ACEN Board of Commissioners election will begin on April 1, 2019. Votes may be cast until May 31, 2019, and newly elected commissioners will take office October 1, 2019. Accrediting Agency to Earn Recognition?